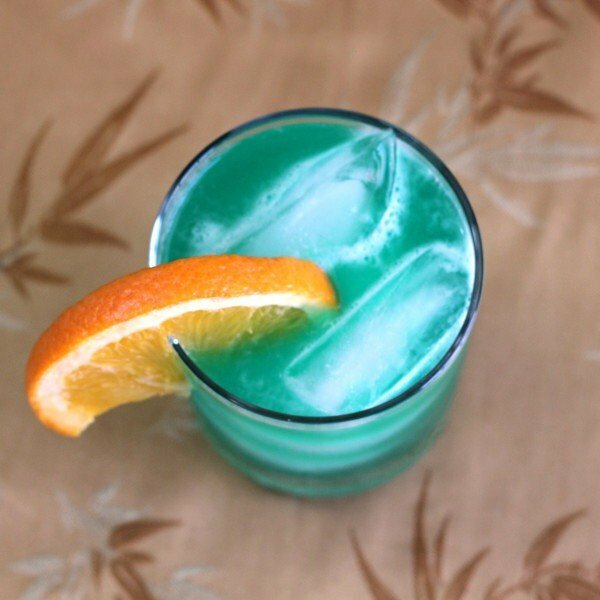 The Chameleon cocktail may get its name from the fact that the recipe isn’t very exact, so it tends to come out a little different every time you do it. It doesn’t matter, though – it’s always tasty. 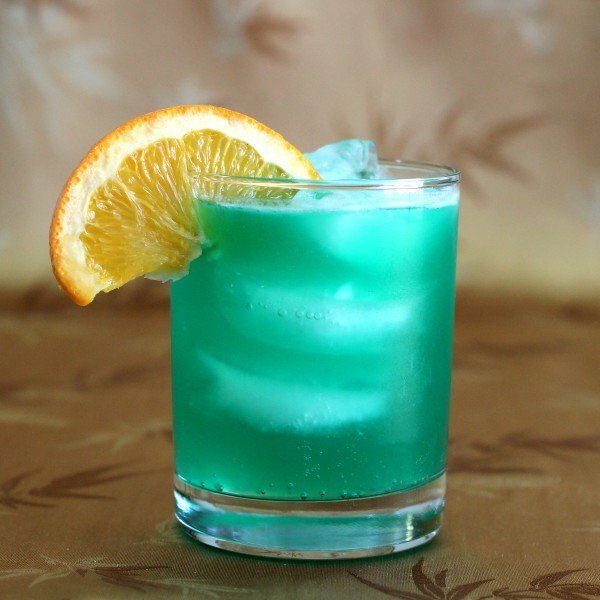 Or it may get its name from the fact that the standard recipe calls for blue curacao and comes out looking sort of green, like a chameleon’s primary color. But I like the other theory. Besides, it’s also great with orange curacao, and comes out looking more of a nice golden orange color. With bubbles. Pour ingredients into a highball glass over ice. It’s supposed to be multicoliured if you pour it right, green and yellowish and blueish. Drink isnt supposed to be just green multicoliured plus colours change a you drink. Hence the name chameleon.